Janet B. (Bender) Pikul, age 71, of Holyoke, passed away on Wednesday, November 28, 2018 at Holyoke Medical Center. She was born in Holyoke, daughter of the late Cuno and Barbara (Gay) Bender and was educated in the local schools. 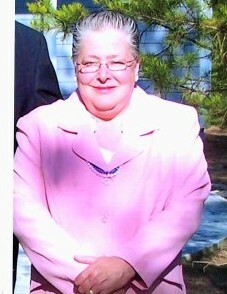 Janet worked in housekeeping for more than twenty years at Holyoke Medical Center, retiring in 2011. She is survived by her beloved husband of forty-one years, Paul A. Pikul; two cherished daughters: Cindy Enders and Kristie Pikul, both of Holyoke; a granddaughter Mary Laura Enders; three sisters: Jo Anne Backiel of Rhode Island, Jill Marion of Florida, and Gay Foster of South Windsor CT, many nieces and nephews, and thirteen in-laws from the Pikul family. Janet was also predeceased by a sister, Judy Markle. Funeral services will be held Monday, December 3rd at 11:00 a.m. at Saint Peter’s Lutheran Church, 34 Jarvis Avenue, Holyoke. Burial will follow at Forestdale Cemetery West, Rock Valley Road. Calling hours will be held Sunday, December 2nd from 2:00 to 4:00 p.m. at the Barry J. Farrell Funeral Home, 2049 Northampton Street. In lieu of flowers, memorial contributions may be made to Saint Peter’s Lutheran Church, 34 Jarvis Ave. Holyoke MA 01040.